Based in the Netherlands at the epicentre of the world’s premium yachting industry, Vanquish Yachts offers you something truly unique. Our high-end, high-performance motoryachts are built by hand using the very latest construction techniques. Crucially, every Vanquish boat is also an individual vessel in her own right, built to the specific requests of her owner. Forget the clichés about customisation…. At Vanquish we expect you to bring ideas to the table before we can design and build your boat. You can read more about our bespoke approach here. Because Vanquish only creates boats for demanding individuals, we also insist on total quality and reliability, applying the latest engineering technologies and systems. Our slogan ‘Not for Everyone’ reflects the special boats we build in terms of their looks and the very special clients we serve. 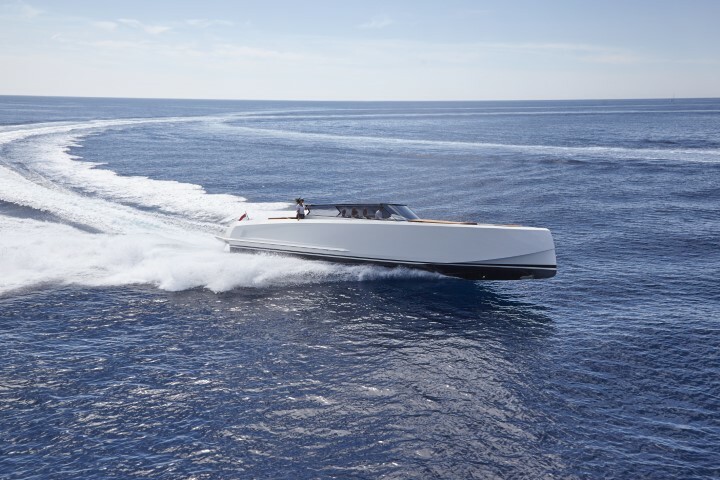 All Vanquish vessels are capable of 40 knots, and those with a particular penchant for speed can order a 50+ knots version with even more powerful engines. We call these models the Vanquish Veloce after the Italian word for speed. Despite all these choices, most Vanquish owners have something in common..
They’ve seen a Vanquish boat at sea or in a marina and said ‘I need one of those too.’ Translating this initial wow factor into a yacht that matches your demands and desires is why we exist. It is the essence of our story. To see the full model range and specifications go to : Vanquish Yachts. You are very welcome to contact one of our sales and service points. For the full product range, video's, news and more you can visit Vanquish Yachts.